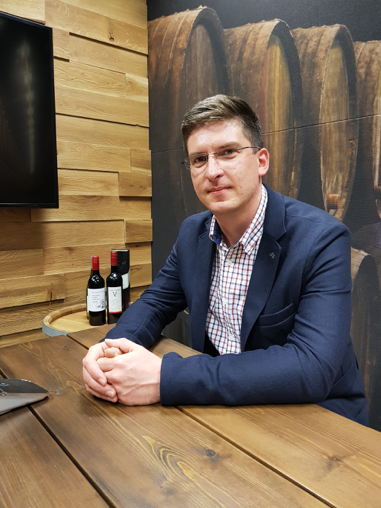 Roman Michel, Development Manager and University Cooperation Coordinator at SAP Labs, Czech Republic Brno, knows how important interns are to a business. 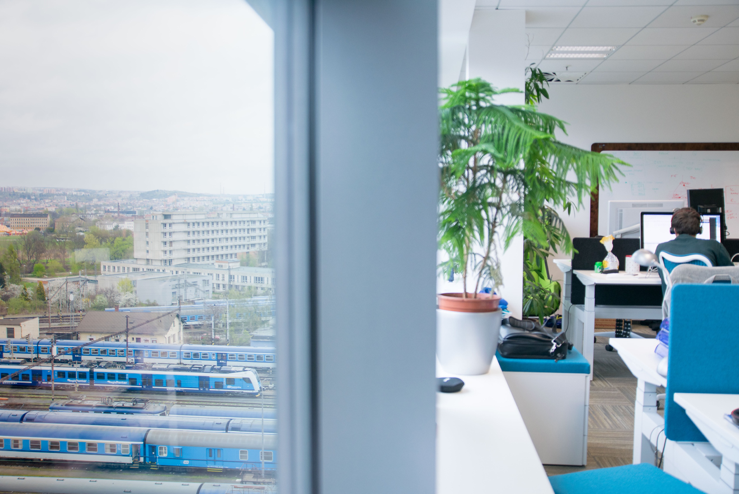 He’s watched the Brno office bloom when bright students walked through the doors to start their careers at SAP. Caption: Roman Michel photographed in one of SAP Brno’s themed meeting rooms. This one is inspired by a wine cellar. Prior to 2016 there weren’t many interns in the office and no organized program to bring in students. If a manager wanted an intern, they’d have to actively search for one on their own. Last year, Roman and his fellow colleagues began reaching out to universities and fostering close-knit relationships with faculty members and campus-run organizations. When Roman and his colleagues visited university campuses, it was evident students had little knowledge of SAP’s brand. “Either they didn’t know anything about SAP, or they knew SAP works on ERP software. The ones who knew of SAP thought since it’s a big company, it must not be modern or full of innovation,” Roman explained. Roman and his colleagues knew something needed to change. “People from the office volunteered their time to help SAP be more visible in job fairs, university events and student competitions,” Roman said. Their efforts included participating in talks at university campuses, inviting high-school students to SAP for workshops, and partnering with local organizations that share a similar vision as SAP. Slowly but surely, they created more buzz around SAP’s vast career opportunities for students. In July of 2016, SAP Development Centre in Brno, Czech Republic, became an official part of SAP’s worldwide Labs Network. During this time, the SAP Fiori user experience team was just established and grew to a team of 80 within one year. The new Fiori team sparked interest among university students studying UI and UX technology to come work on SAP’s emerging technologies, applications and product development. “This growth was disruptive to our environment and brought fresh energy into the office,” Roman said. 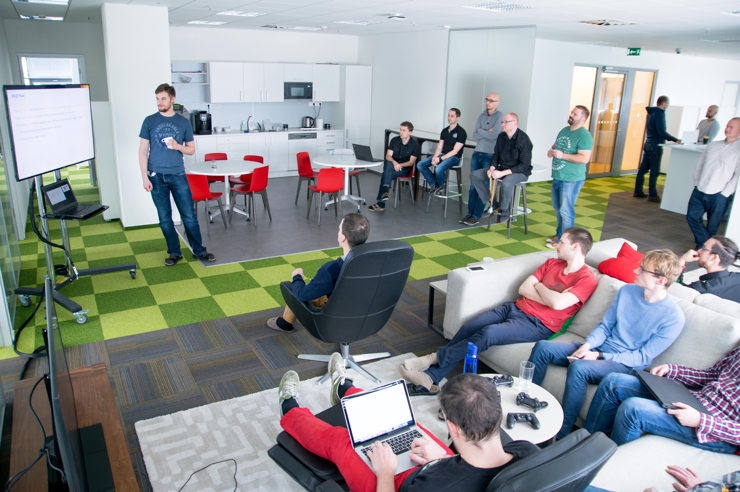 The new hires were a mixture of experienced developers, fresh graduates and students. Many of the longtime SAP employees who have been in the office for more than 15 years were eager at the prospect of growth. “People were enthusiastic given the possibility to cooperate with young people and share the knowledge they’ve gained through the years working at SAP,” Roman said. And what do they love most about having interns in the office? Roman said interns have no fear starting a new project. “The interns’ enthusiasm is very different than ours,” he added. 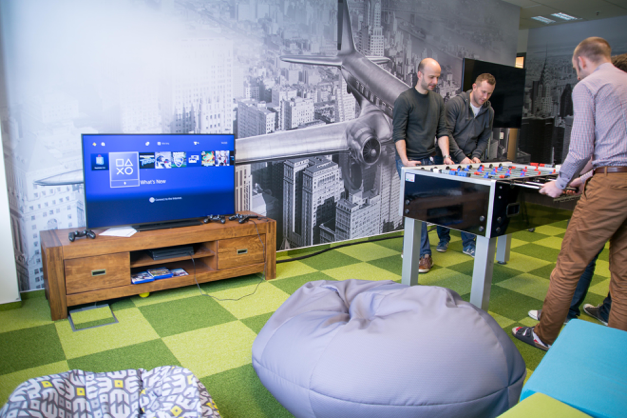 The mixture of newcomers and longtime employees sharing their ideas and experiences breeds a more collaborative workplace culture. Roman emphasized that with this growth, the office still feels like one big family. Longtime employees have established mutual trust and understanding with one another, which is a quality that is oftentimes difficult to find during rapid business growth. “When we interview candidates, we choose people not just by their technical skills, but also on how they fit into our office,” Roman adds. “We look for people who have a similar mindset and can keep the family atmosphere alive.” The office is an open environment, with comfortable and playful furniture scattered throughout to make for easy gathering spaces. And for fun outside of the office? Roman said they have a hiking club, a runner’s club and like anyone else, enjoy kicking back with a beer and catching up on life after a long day at work. Learn more about SAP Career Opportunities in Brno. SAP P&I is hiring interns to join Brno’s technical and nontechnical teams for paid internships. SAP iXp seeks to give students the space to find purpose in their careers through learning and development and project-based work.